When I add MANDT field as primary key in ABAP table, I get Primary key change not permitted for value table error. This ABAP tutorial shows how to add MANDT field as primary key to an ABAP value table which is defined as a check table. In this tutorial, ABAP developers will find hints for how to find foreign keys using Where-Used List and delete foreign keys. ABAP programmers can experience similar problems while defining a non key field as a key field on an ABAP transparent table. This table is defined as a check table. For reasons of consistency, changes to the primary key of the table are not allowed. If it is essential that you change the primary key, you must delete the relevant foreign keys. 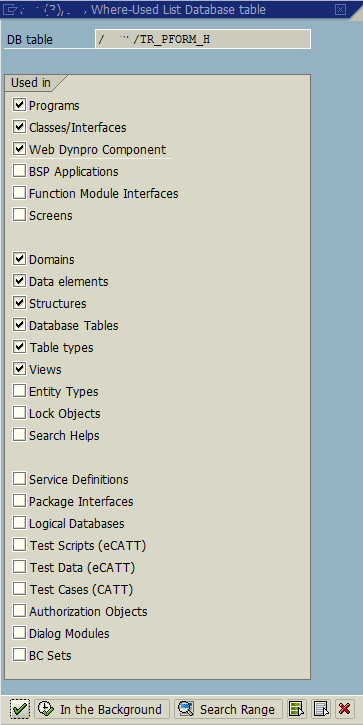 Refer to the where-used list to find all tables containing a field that is checked against this table. Delete the foreign keys for these fields. 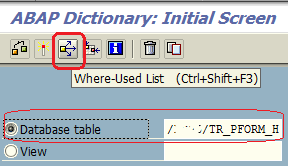 Call SE11 transaction code to change table structure of a custom table in data dictionary. Switched to change mode and display Fields tab. Then click on first field VBELN on the list and click Insert Row icon to add the new table field. Type MANDT as field name with data element MANDT. Mark the Key and Initial Values checkboxes. The details of the error log can be viewed in activation of worklist. Type the custom table name in database table input field. Check option box before it. I had previouslt find SAP Web Dynpro components using this ABAP table in data context nodes and map those context to a copy of this ABAP table. Of course before this I created the empty copy of the database table by using the Copy button on SE11 tcode. But only removing the Web Dynpro did not help me for the solution. After adding database tables to the Where Used List search, finally I could find an entry which prevents me to add MANDT field as primary key to my custom ABAP table and activate this ABAP data dictionary object. 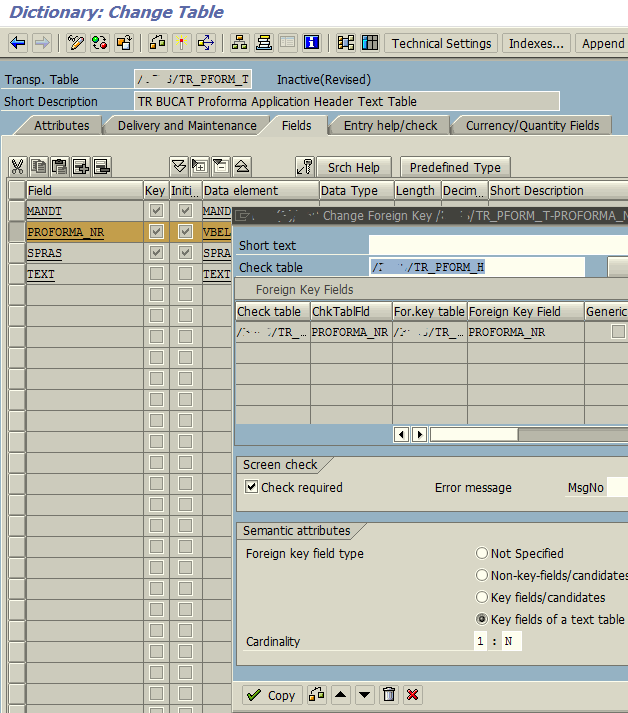 Display ABAP table structure in SE11 transaction and switch to change mode. Since the activation error indicated that table is defined as a check table, go to Entry help/check tab. You will see the table name that I want to add MANDT field as primary key in the check table column. As seen above, this check table definition for PROFORMA_NR field is preventing me to add MANDT field to my database table and mark as primary key. 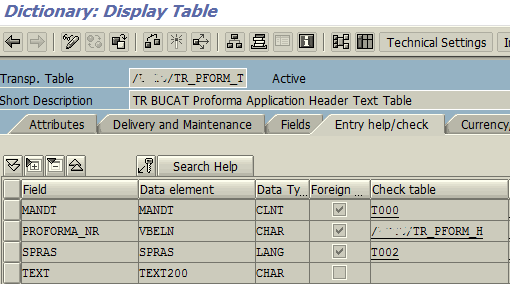 To delete this check table display referencing ABAP table in change mode using SE11 SAP transaction. Highlight related ABAP table field. Click on Foreign Keys icon on the icons row right above the field list. When Change Foreign Key dialog screen is displayed on screen as below, click on DELETE icon to remove the foreign key definition temporarily to add back later. Save table definition and activate it. After foreign key definition on ABAP table where check table entry for our original table is deleted go back to source table. Open database table in change mode using SE11 tcode. Add MANDT field, mark as primary key. SAVE database table's new structure and activate ABAP table. This time SAP transparent table is successfully activated without a problem. Please note that I faced this problem on an empty database table on which I was making my ABAP developments. There were no rows created in the ABAP database table. So adding MANDT field as primary key could be solved only by deleting foreign keys referencing the table. If there are records inserted into the database table, one additional step is to call SAP transaction SE14 ABAP Dictionary: Database Utility and Activate and adjust database with "Save data" option. Adjust table will add missing MANDT field values and provide data consistency within the database table. To summarize, if an ABAP developer is trying to add a new column like MANDT as a primary key to an existing SAP custom table, he can experience the error: "Primary key change not permitted for value table". 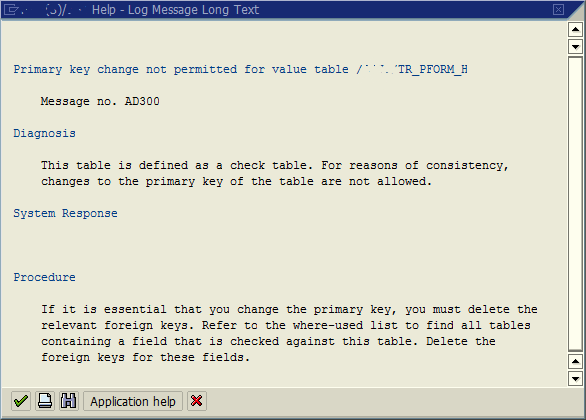 The underlying reason for preventing primary key change is that the table is defined as a check table and there are foreign keys created refering this ABAP table. The solution is to identify where this ABAP table is used in ABAP Data Dictionary objects like tables, etc. After you identify where this table is used, remove referencing check table entries or foreign keys.